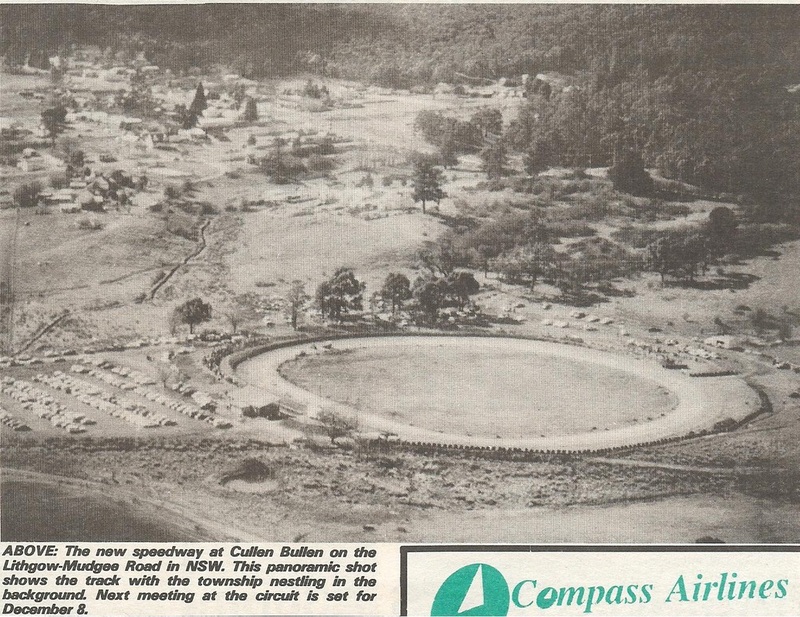 Cullen Bullen Raceway was built by the members of the Portland and Districts Motorsports Club, through the clubs efforts they managed to convert the old disused showgrounds at Cullen Bullen near Lithgow into a speedway complex. Like many other rural clubs local business houses donated the use of trucks, graders and other equipment so the project would continue, The speedway opened in 1991 . The Portland club was quite a small club when the project started, but soon it grew in size enabling the club to channel its general funds back into the venue. The race track is 400 metres in length and the surface is listed as granite.